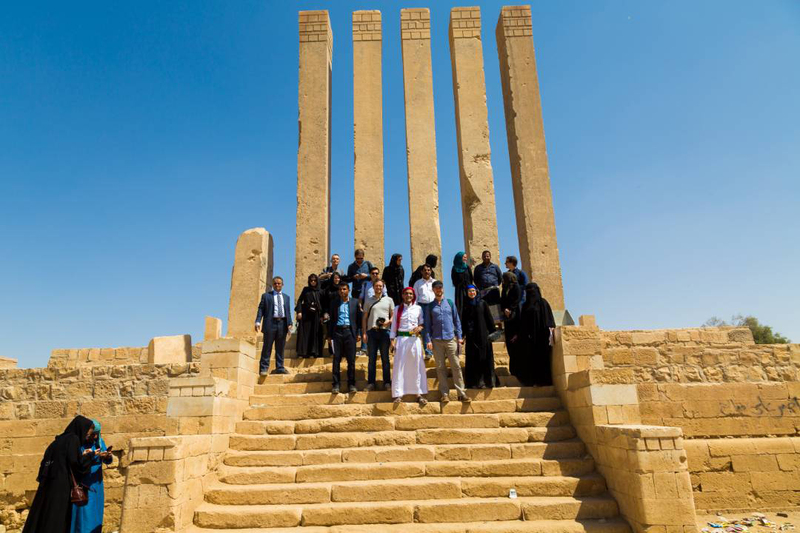 The Sana’a Center for Strategic Studies organized an international press delegation visit to Yemen’s Marib governorate during the first week of November, including senior correspondents from North American and European print and broadcast media. 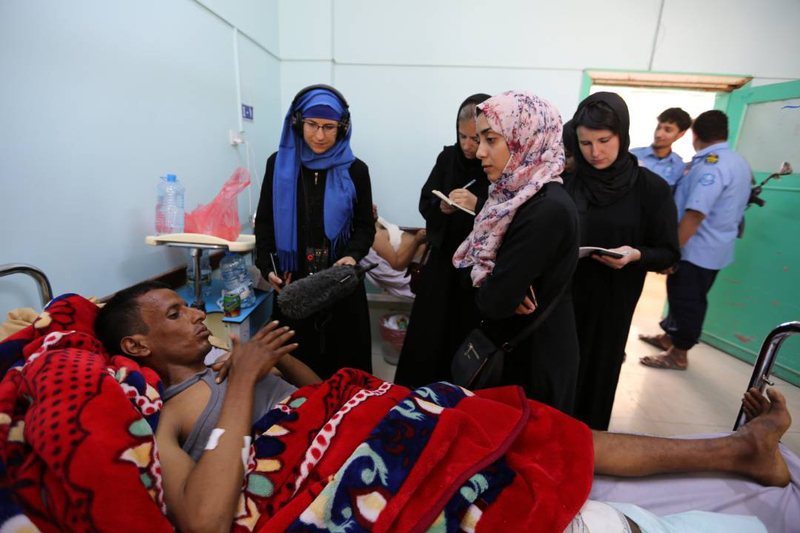 This unprecedented foreign media access to Marib – and to Yemen generally following more than two and a half years of conflict in the country – was granted to almost 20 journalists representing media outlets such as The New York Times, Reuters, NPR, The Independent, Le Monde, Der Spiegel, Neue Zürcher, and others. In Marib the delegation met with local leaders, political party representatives, security chiefs, civil society heads, political activists, prominent businessmen, the war-wounded and families of detainees, while also meeting with tribal chiefs from around the Marib governorate, the governor of Sana’a and officials from Al-Bayda governorate. 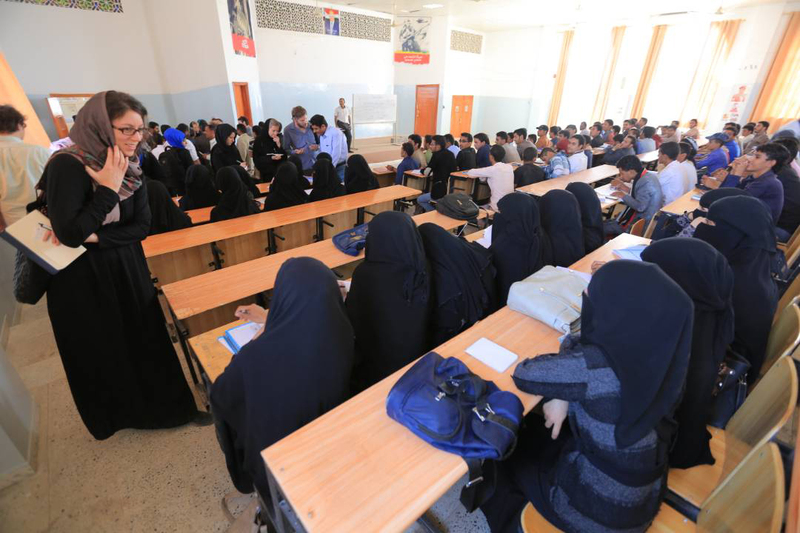 To become better acquainted with the situation in Marib, the delegation also visited Marib University, a local hospital, internally displaced people, and historical landmarks in the area. 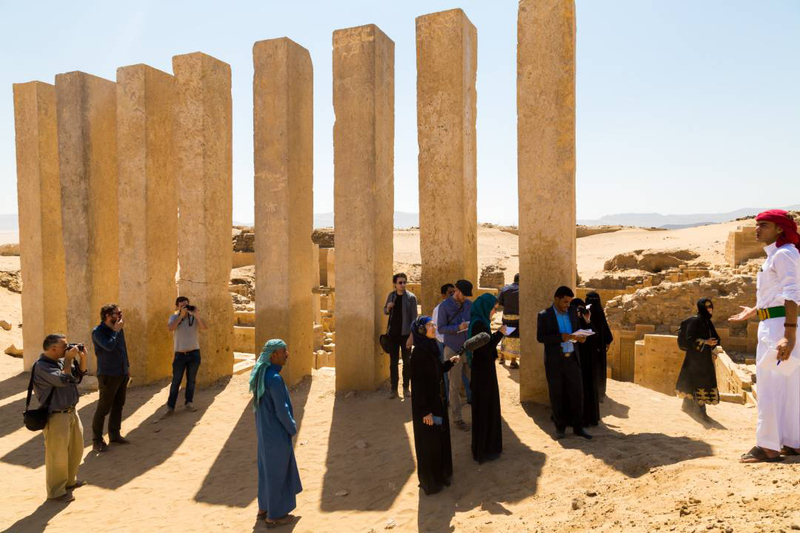 Maged al-Mudhaji, Executive Director of the Sana’a Center for Strategic Studies, said the visit was part of the Center’s broader objective of fostering new approaches to Yemeni affairs. 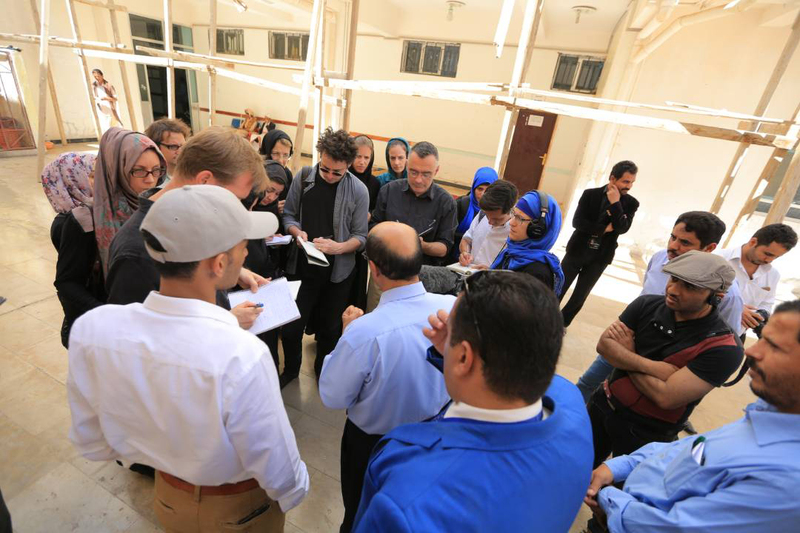 He added that providing the global news media with firsthand knowledge and context regarding the situation in Yemen will hopefully heighten international attention on the country’s many current challenges. 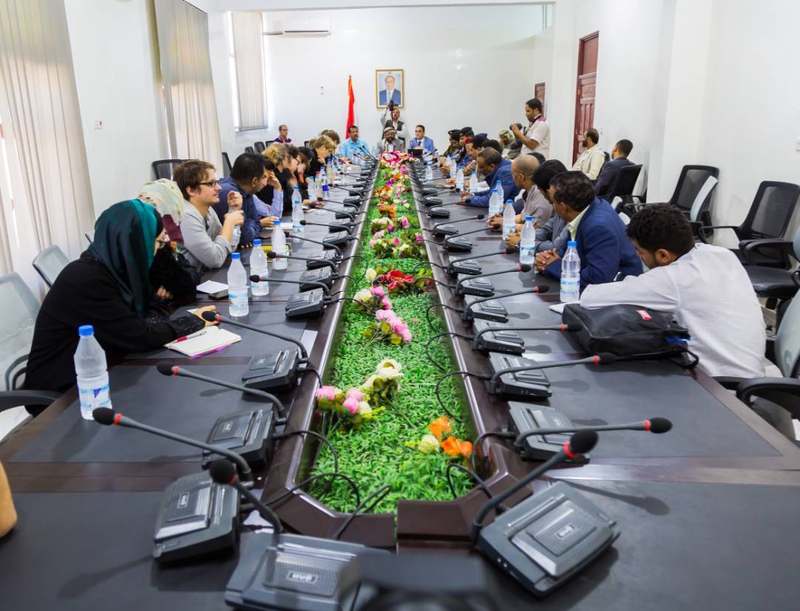 This is the first delegation of foreign journalists to visit Yemen since the beginning of the current conflict, and is the largest foreign delegation to visit Marib since 2007. 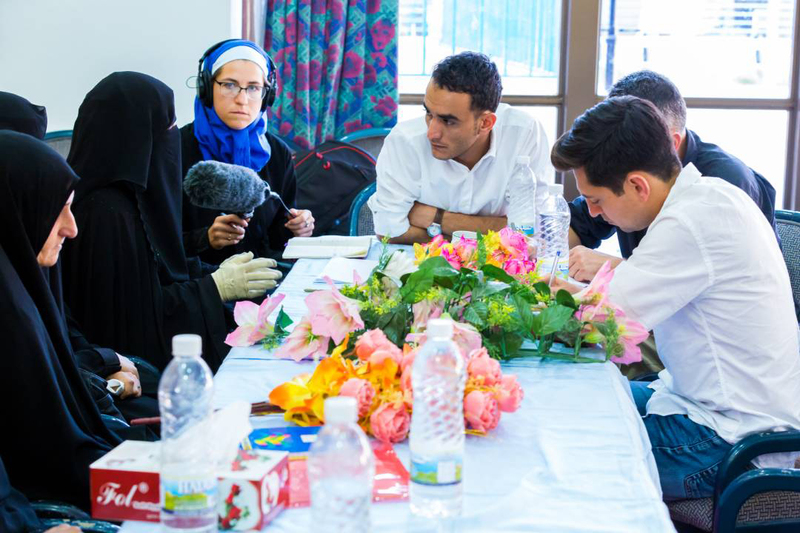 This visit to Yemen is the first in a series to be organized by the Sana’a Center for international journalists, researchers and others.